OWH Stars and Stamps (Our OLD blog! ): One Stitch At A Time Features Operation Write Home! One Stitch At A Time Features Operation Write Home! One Stitch At A Time challenge blog is featuring Operation Write Home in honor of our birthday! 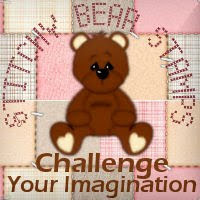 We have a beautiful inspiration card from their challenge for you today made by Rebekah. To see more of her art work you can visit her blog Berrylicious. Thank you Rebekah for sharing your wonderful talent with us! Here's a link to One Stitch At A Time so you can join in this fun challenge for Operation Write Home too!